Kevala Retreat is a vehicle for Dhamma study, practice, and work. 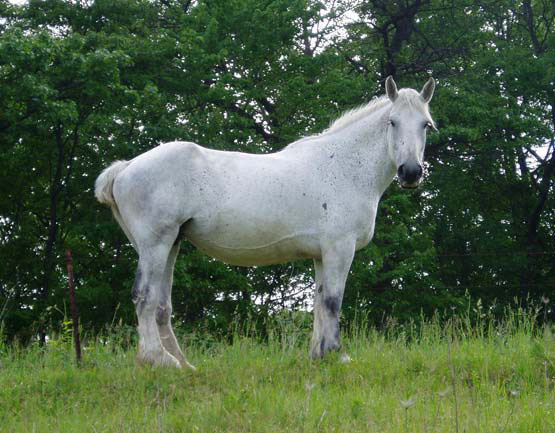 Current residents are Santikaro, Jo Marie, and various cats, horses, and poultry. We have many visitors, both wild and domesticated. We are dedicated to a modern expression of Buddhist life that is true to the Early Teachings. Venerable Buddhadasa Bhikkhu is our major inspiration. On October 1st, 2006, we moved to the village of Norwalk in the driftless region of Wisconsin, along the Mississippi River (directions). As we learn to be part of this beautiful little valley with its winding creek and diverse ecology, we hope to slowly build living facilities for ourselves, guests, and future residents. 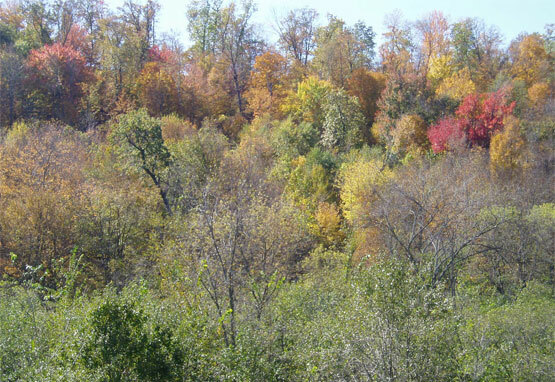 Our intention is to provide a peaceful natural environment for dedicated practice-study. Living simply and sustainably, growing food, and caring for the land are central to our lifestyle and practice. We also work on translation projects, articles, and other forms of Dhamma service, including participation in the Chicago chapter of the BPF. The construction of meditation hermitages and other facilities will proceed according to causes and conditions, such as need and available resources, more than well-intentioned plans. We work hard at this, and insist on doing so in an enjoyable, meaningful way, so that it remains Dhamma practice. Developments here are driven by the need to support viable daily practice for those who practice, study, and live here. All activities need to be centered on and grounded in the threefold practice of virtue, concentration, and insight. The core values and principles of Buddha-Dhamma guide us. Other ideals -- such as justice & peace, democracy, & post-patriarchy values -- will inform but not dominate. Practical workability, rather than ideology, will be central (with all the experimentation that implies). Kevala Retreat will seek to serve all those interested in Buddha-Dhamma. We seek to cooperate with all those dedicated to a peaceful & just society grounded in contemplative & spiritual practice. Individual retreatants can be hosted in rustic accommodations; supportive infrastructure has grown each year. With a partner sangha, we are saving funds for the first hermitage. Personal retreat programs will be determined with Santikaro and regular check-ins will be expected. If you would like to be involved in some way or seek our services, please contact us at info at LP. Santikaro went to Thailand with the Peace Corps in 1980, was ordained as a Theravada monk in 1985, and subsequently trained at Suan Mokkh with Buddhadasa Bhikkhu, a leading Thai teacher, scholar, and reformer of Theravada Buddhism. 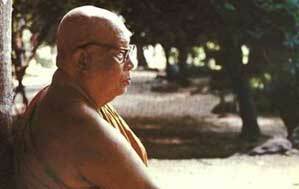 He became Ajahn Buddhadasa's primary English translator and was abbot of nearby Suan Atammayatarama. He is a founding member of Think Sangha, a community of socially engaged Buddhist thinker-activists that has given special attention to the ethical and spiritual impact of consumerism and militarism. He led meditation retreats at Suan Mokkh for many years before returning to the USA's Midwest in 2001. In 2004 he retired from formal monastic life. He continues to teach in the Buddhist tradition with an emphasis on the early Pali sources. He is the founder of Kevala Retreat (originally Liberation Park), a modern American expression of Buddhist practice, study, and social responsibility. There he continues to teach, study, practice, translate the work of his teacher, engage in social activism, and imagine the future of Buddha-Dhamma in the West. Jo Marie has been studying and practicing Buddhism since 1994. With a love of the early teachings and a strong grounding in feminism, she attempts to navigate the sometimes rocky terrain between the two worlds. Seeking to ordain within the Theravada tradition brought her to the uncomfortable recognition of the strong patriarchy of the monastic institutions and elicited a crisis of faith. The crisis has found resolution in the work of creating a refuge for lay Buddhists wishing to study and practice the heart of the original teachings, while challenging the overlay of patriarchy as well as other social ills of our time. 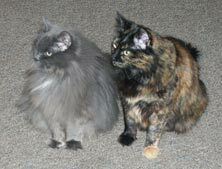 Grey and Spotted kitties (aka Princess & Lyman) moved to Kevala Retreat with Jo Marie in 2004. Each passed away in 2009 at the ages of 18 and 13 respectively. 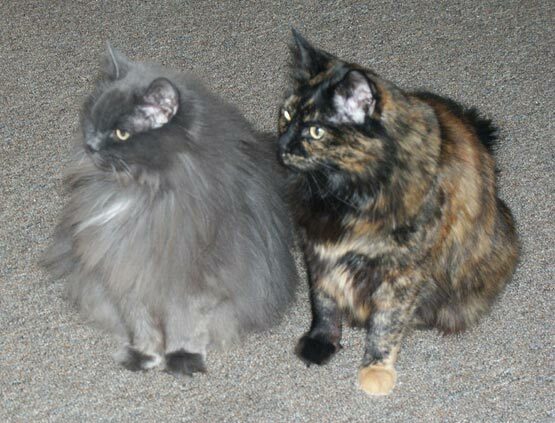 As facilities grow on the land, new kitties have taken up residence: Flopsy, Sylvie & Lenny in the house. Momma prefers the barn, where she has been joined by Coleman, Duey & Luey. Tara joined the family in March 2007 and moved to our pasture in May. Her colt Jera was born July 12th and his older sister Junebug joined us in October of the same year. Deacon arrived from Walla Walla in September 2011. They live around the barn. We are a way station for many homeless kitties and horses as well. Please see this page for critters available for adoption. Our first flock arrived in Spring 2010. After sharing some of the ducks with friends, we are left with two Cayugas (Freckles & Speckles), two Swedes (McDuffy & Blue Bell), two Khaki Campbells (Missouruh & Kansus), and the two Chinese geese (Ruth & Grace), who watch and lord over their smaller charges. A second flock arrived in Spring 2011 but did not integrate well with their elders. They found a good home in Viroqua. In the last year, we've lost two ducks to predators. On Saturday January 12th 2008, Santikaro and Jo Marie were married at the heart of Kevala Retreat's valley. Leigh, Episcopal Priest from Sparta, officiated in the simple ceremony and plighting of troths. JoAnn Thomas and Doug Nopar, two old friends from the area, witnessed and took pictures. A network of friendly sanghas has grown and worked with us in the years prior to and since moving to Wisconsin. Their support and Dhamma commitment are important to what we are doing here. Wisconsin friends and Illinois friends.